Easter is recognized on the first Sunday after the first full moon of Spring. Since 325 AD, Christians have celebrated Easter on a collective day. 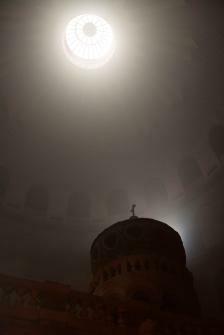 Some indulge in the easter eggs hunting and some just want to feel the experience the warm sun rays falling through the Holy Sepulchre. 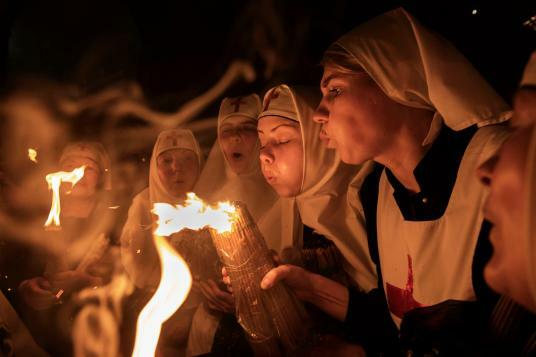 Here are 15 unique and interesting easter tradition photos from around the world that capture the essence and spirit of Easter celebration. 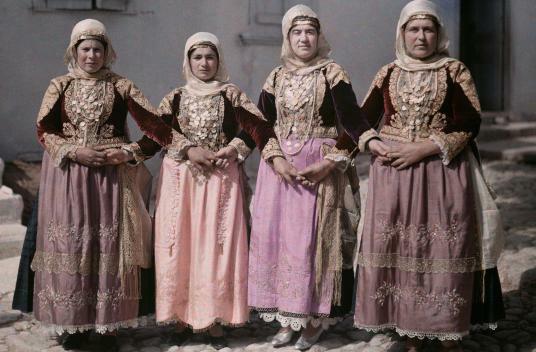 This Photo dates back to 1930 taken in Megara, Greece. The women are performing a traditional Easter Dance. 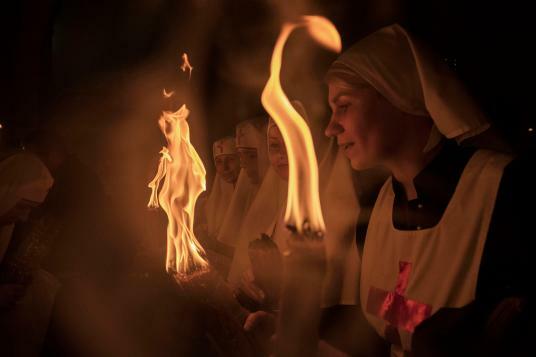 Here is a photo which was taken by Alessio Romenzi when the nuns were blowing out their candles after the Holy Fire ceremony, Jerusalem. 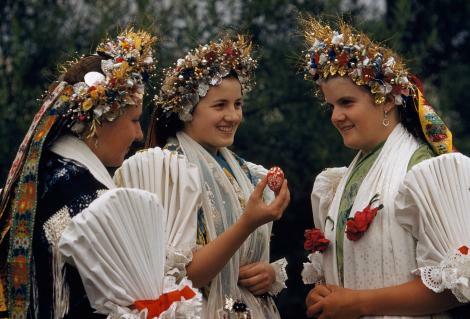 In Stinatz, Austria women dressed up in traditional dresses, while they shared Eggs with “Happy Easter” written on them. 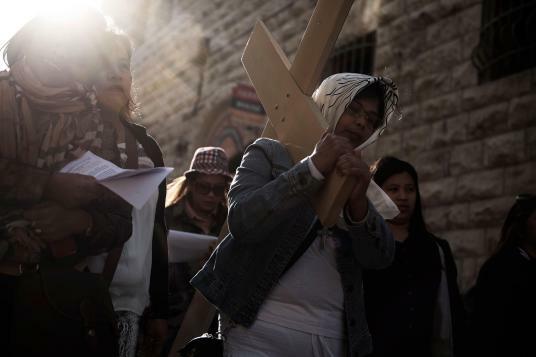 The procession along the Via Dolorosa is carried out in Jerusalem City, Israel, during the Good Friday. 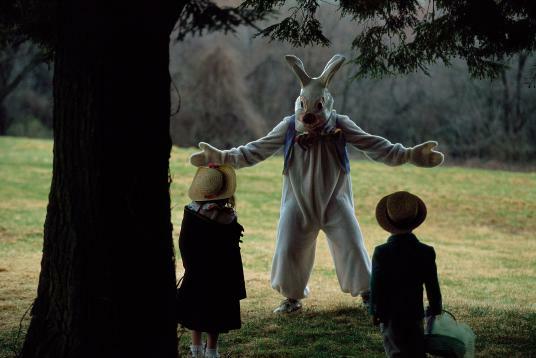 This mascot is the Easter bunny who the curious children found when on an egg hunt in Connecticut, USA. This is how the window looks from the roof of the church of the Holy Sepulchre. And all that haze is due to the smoke from the Holy Fire Ceremony in Jerusalem. An altar created in Oaxaca, Mexico for Easter. And a woman who unknowingly became the subject of this photo. 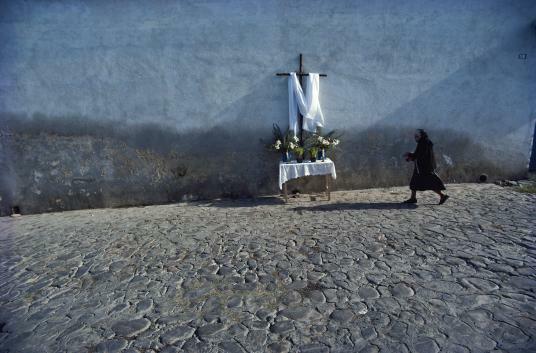 During the Holy Week, Procession of Verges takes place in Verges, Spain. The actors re-enact the life story of Christ. 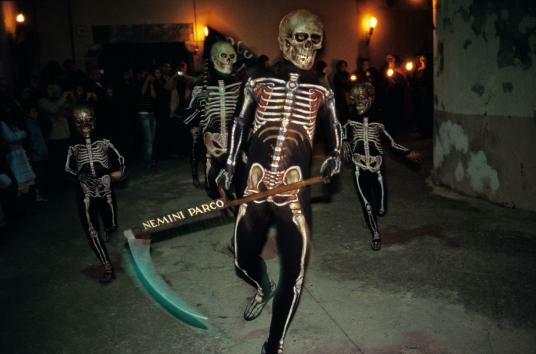 This photo is from the final act – The Dance of Death. 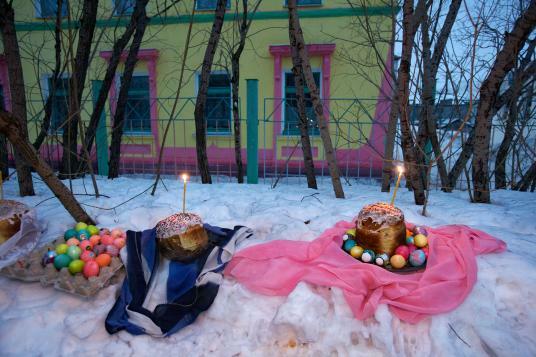 This delish scene is outside St Michael’s Church in Vorkuta, Russia. Eggs, candles, and cakes! I bet the parish is feeling the giving spirit of Easter. 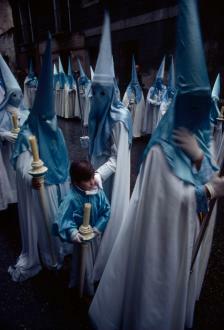 The photo was taken by David Alan Harvey in 1978 during Holy week procession in Valladolid, Spain. The Holy Fire is indeed blazing during the Holy Fire Ceremony in Jerusalem. Alessio Romenzi accentuates the passion of the festival. 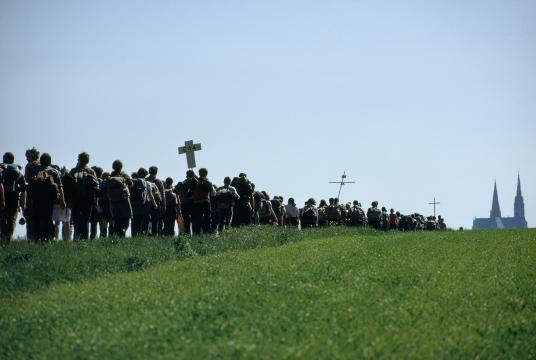 A March in Chartres, France in 1969 when the students walked to the cathedral bearing crosses. 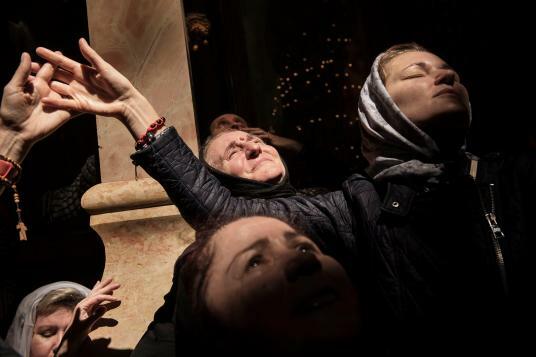 The light coming from the window of Holy Sepulchre (in Jerusalem) is considered Holy by many Christians. Some women reverently basking in the sun rays coming through the window. 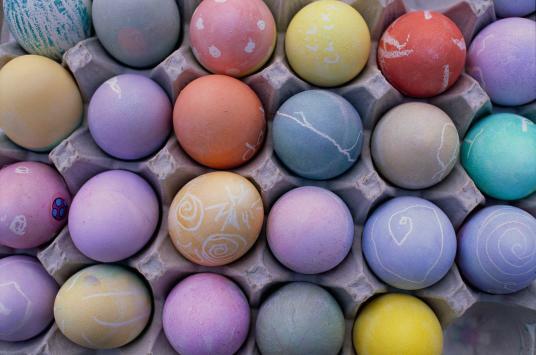 These beautifully painted Easter Eggs are all the way from Lincoln, Nebraska. Ready to hide the eggs and play the fun game? 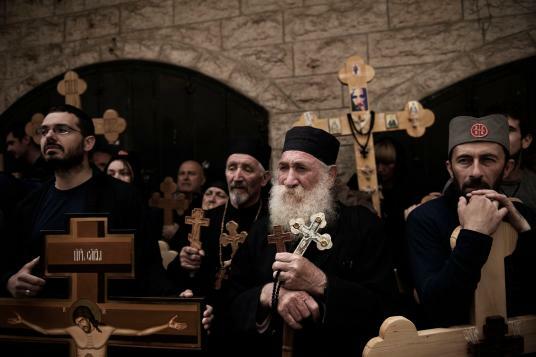 A procession held from Mount Olives to the Temple of Holy Sepulchre, Jerusalem, where pilgrims carry crosses to commemorate the journey of Christ to his Crucifixion. All photo credits go to the gallery of National Geographic Travel.